Bird Dog Whiskey - AoM: Beer et al. 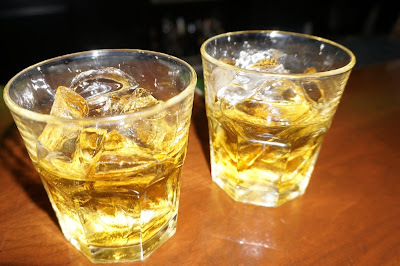 After finishing our Irish Car Bombs, my friend and I each ordered a glass of whiskey; I got the Bird Dog Peach and Josh got the Bird Dog Apple, both on the rocks. First trying my glass of Bird Dog Peach, I mostly tasted a peach flavor and detected a bit of a whiskey taste as well.